Тhis year Tournament Plovdiv’s 20th anniversary event took place on April 21 and April 22 2018 – qualification for Balkan and European Bodybuilding and Fitness championship. 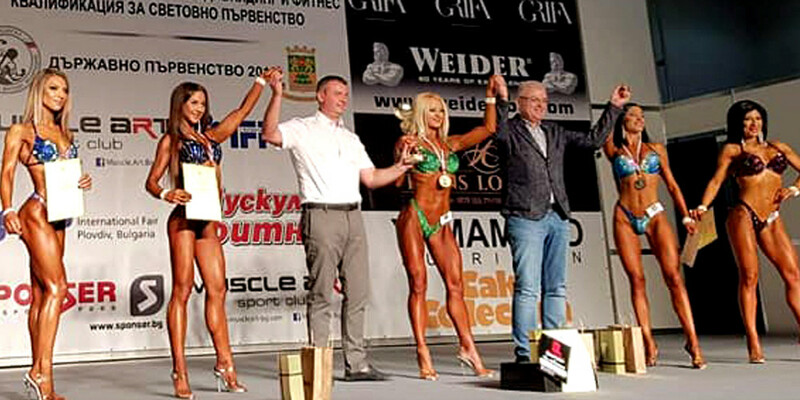 For twentieth time NUTRIM was the sponsor of the contest that became the most authoritative competition in the annual calendar of the Bulgarian Bodybuilding and Fitness Federation. NUTRIM was also the sponsor of the State Annual Bodybuilding and Fitness Championship that was held on October 6 and October 7 2018 – qualification for World Championship. The contribution of NUTRIM on competitions of that kind is always high appreciated by the organizers and participants as well as by the numerous visitors and by the fans of that sport.